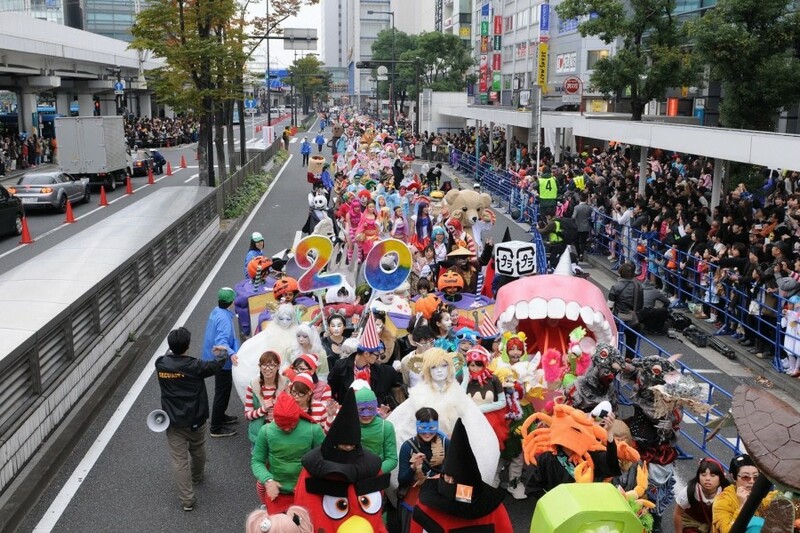 The Kawasaki Halloween Parade is a large scale event gathering around 2500 costumed participants every year. This article introduces tips on how to enjoy the parade, along with suggestions of places to visit while in Kawasaki. One of the largest Halloween events in Japan, the Kawasaki Halloween Parade is eagerly awaited every year by thousands of people. Having reached its 22st edition in 2018, the Kawasaki Halloween is a well-established celebration, growing in scale year by year. At present, it gathers nearly 2500 costumed participants and around 130.000 onlookers. The preparations begin long before the day of the parade and the whole city of Kawasaki is in a festive mood in October. The gorgeous decorations around the city and all the Halloween-themed goods you can find on sale evoke the playful spirit of the season bringing a smile on everyone's face. 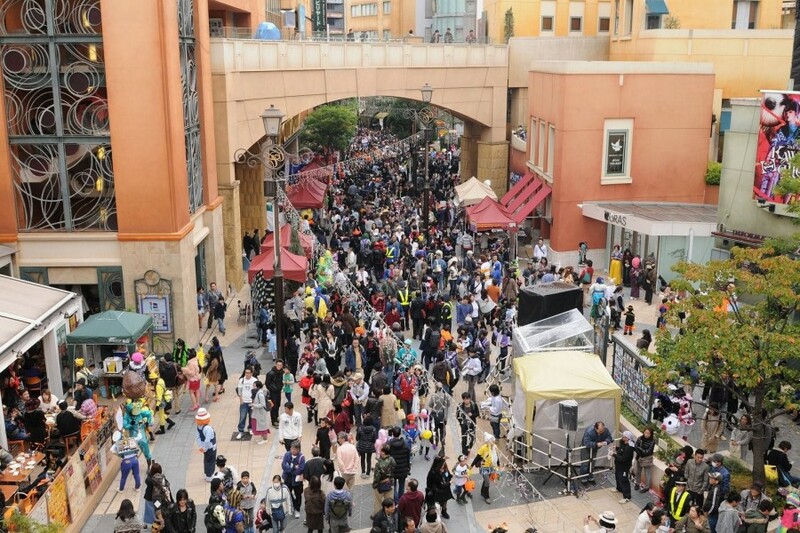 The exciting Halloween Parade is a great occasion to spend a fun day in Kawasaki! 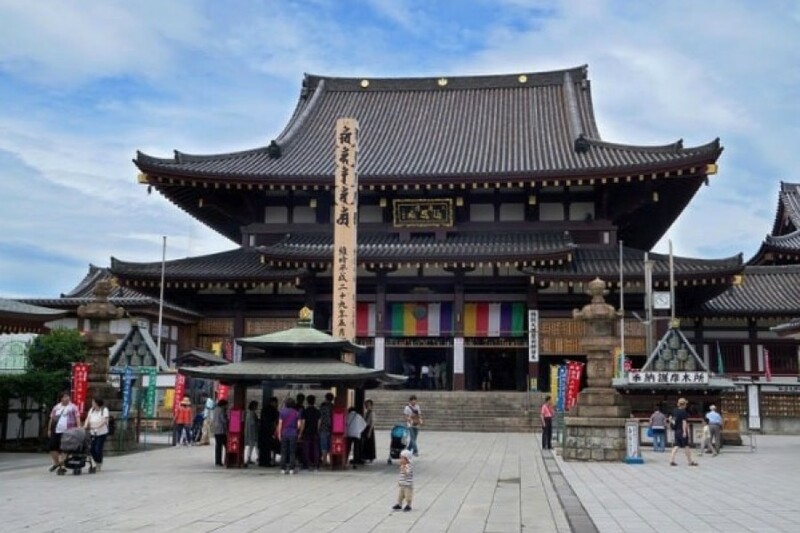 Introduced below is a day trip plan that allows you to visit Kawasaki Daishi Temple, one of the highlights of the city, to enjoy delicious local cuisine, and to have fun preparing for and taking part in the Kawasaki's famous Halloween Parade. Start your day trip to Kawasaki by visiting Kawasaki Daishi, a large temple complex with a history going back to the Heian Period (794 - 1185). Officially called Daihonzan Kawasaki Daishi Heikenji, this temple enshrines a statue of the high priest Kobo Daishi (774 - 835), the founder of the Shingon school of Buddhism. The miraculous finding of this statue in the 12th century stands at the origin of the temple. Kawasaki Daishi is renowned as a temple that wards off misfortune, that is why thousands and even millions of people come here at New Year's for their first temple visit of the year. In addition to the Main Hall (Daihondo), there are several buildings on the temple grounds that are impressive monuments of Buddhist architecture. The Yakushiden Hall(shown in the picture above) is one of them. It houses a beautiful statue of Yakushi Nyorai, the Buddha of Healing, flanked by the Twelve Heavenly Generals who protect the faithful. When visiting, please do enter the Yakushiden Hall. Not only will you be able to see the Yakushi Nyorai statue, but you can also get a bookmark with a stamp of the Heavenly General corresponding to your zodiac sign as a souvenir. Behind the Yakushiden, you will find the Yasuragi Bridge arching over the Crane Pond. At the other end of the bridge, a stunningly beautiful golden statue of Siddhartha Gautama Buddha awaits. 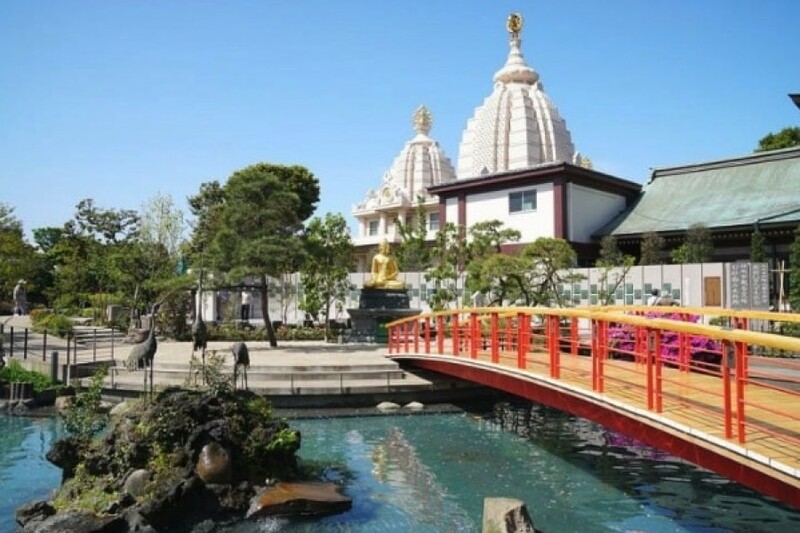 The act of crossing the bridge while heading towards the statue will give you the very special feeling of a spiritual experience, reminding you the original purpose of a temple visit. 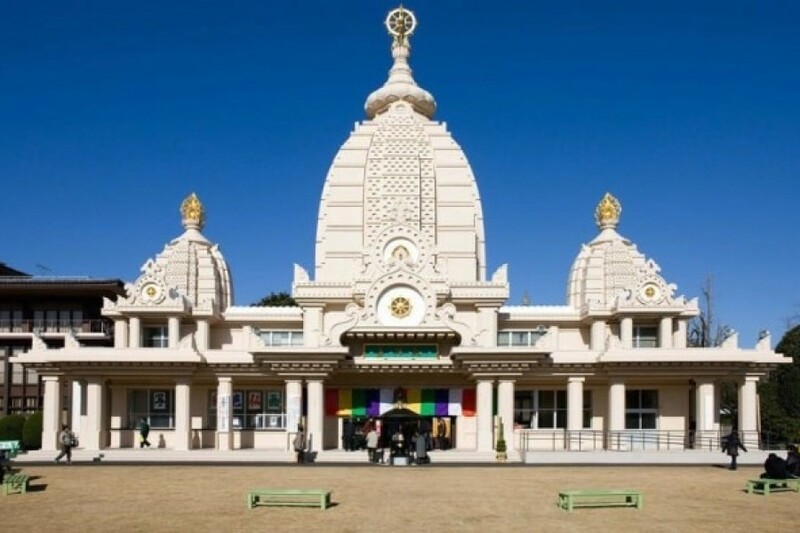 The impressive Five-Storied Pagoda, as well as the main gate Daisan-mon, are also important highlights of the temple that are worth seeing up close. Take your time and enjoy your visit to Kawasaki Daishi, one of the prominent and most beautiful temples in eastern Japan. It's a 6-minute train ride on the Keikyu Kawasaki Line from Kawasaki Daishi Station to Keikyu Kawasaki Station. After your visit to the temple, head towards the center of the city. On the day of the Halloween Parade, you'll find the streets bustling with people of all ages wearing their favorite Halloween costumes. It is only once a year that everyone has fun dressing up as monsters, ghosts, and anime or movie characters so it's quite a rare and amazing sight! The excitement is contagious so you might want to join the fun yourself. By putting on a small accessory or a special make-up, you'll be able to bring yourself in tune with the mood of the celebration. 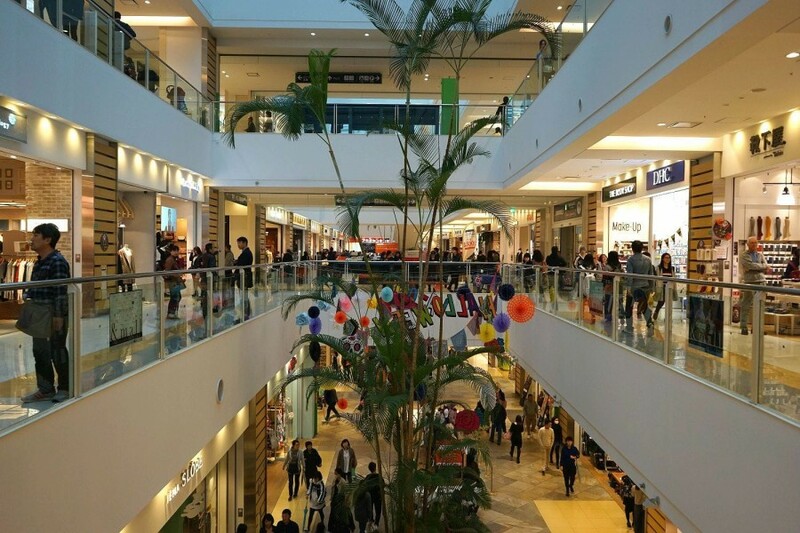 So how about shopping for Halloween-themed items in LAZONA Kawasaki Plaza, a popular shopping mall directly connected to Kawasaki Station? Halloween is celebrated gorgeously at LAZONA, with special colorful decorations all around the building. 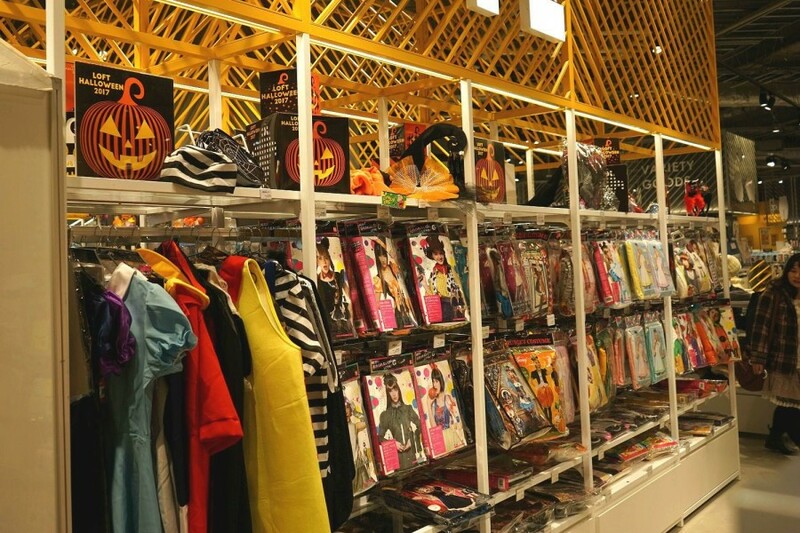 Many shops offer a special line-up of Halloween-inspired products and you can get anything from fashion items to cosmetics, accessories, and toys. On the 4th floor, there are restaurants and cafes, where you can take a break and have lunch before going to watch the Halloween Parade. Let us introduce you to a few select shops you can visit in LAZONA. * The pictures were taken on October 29th, 2017. Please be aware that the products shown in these pictures are not available anymore. 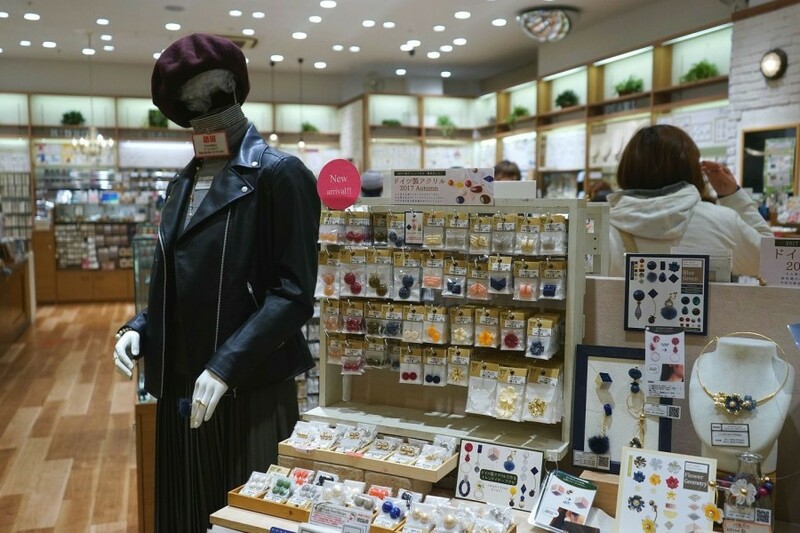 If you'd like to buy yourself an accessory item as a souvenir from your Halloween in Kawasaki, stop by Kiwa Seisakujo, which is located on the 2nd floor of LAZONA. 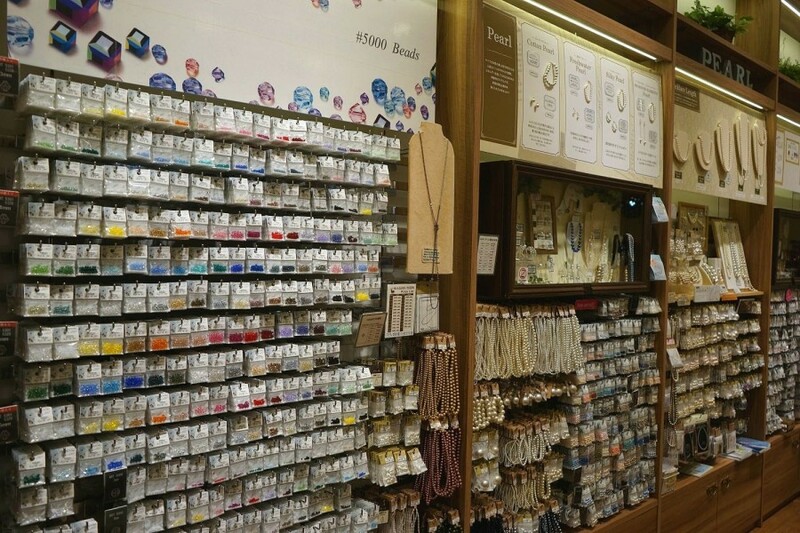 Kiwa Seisakujo is a very popular shop that handles both ready-made accessories and accessory parts for handmade items. Their Halloween accessory line-up is worth checking out. It consists in necklaces, earrings and bracelets with Halloween-inspired motifs. 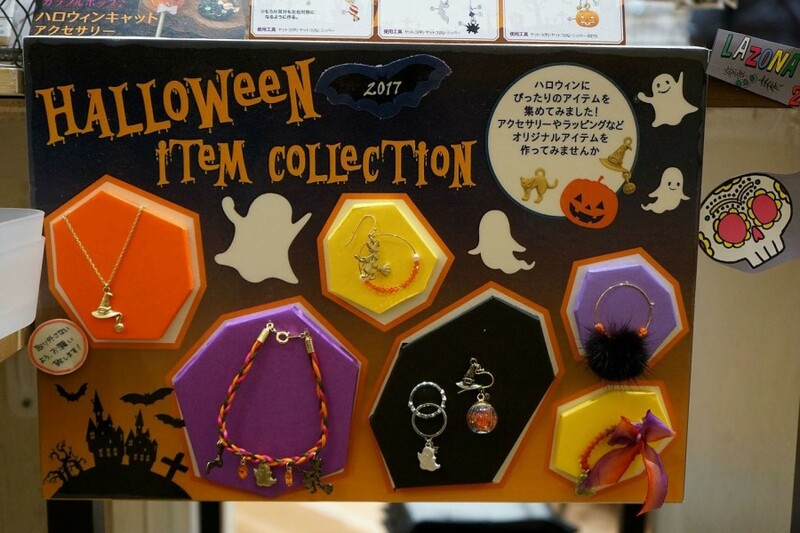 These accessories are fashionable and discrete, so if you buy them as souvenirs, you'll be able to wear them at the next Halloween too, and even on other occasions. Or you can release your creativity and look for parts that you can assemble to make unique accessories. From precious metal necklaces and beads, to precious stones and small decorative items, you can find here everything you need in order to make sophisticated accessories for your Halloween outfit. 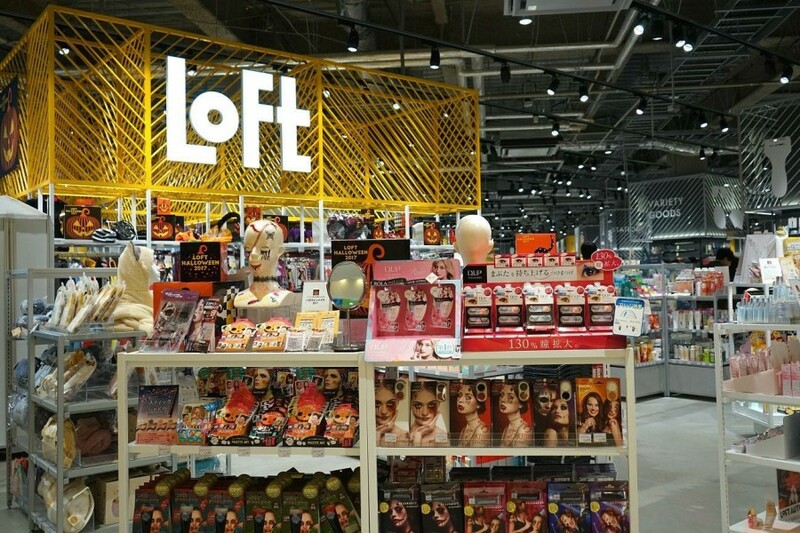 If what you're looking for is make-up or a costume, then head to Loft on the 3rd floor of LAZONA Kawasaki Plaza. 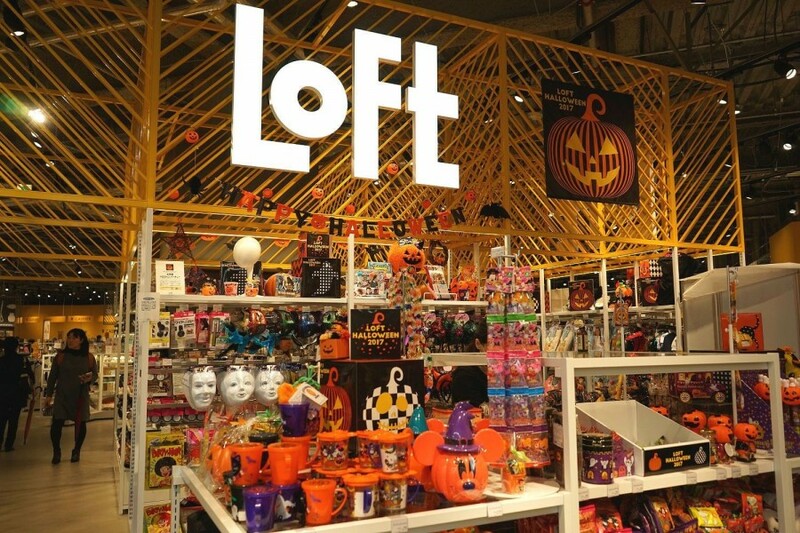 In addition to their regular goods, in October, Loft has an incredible variety of Halloween-themed decorations, toys, cosmetics, and even sweets and drinks. There is a whole section with costumes that are ready-made and easy to wear. Fancy becoming a famous anime or movie character for a day? Halloween is the best occasion to wear such a costume on the street and have fun taking pictures in it. If you prefer wearing a make-up that can be washed away easily after the party, then take a look at the items in their special Halloween make-up corner. All the products have instructions on how to put on the make-up and how to take it off, and are very easy to use. 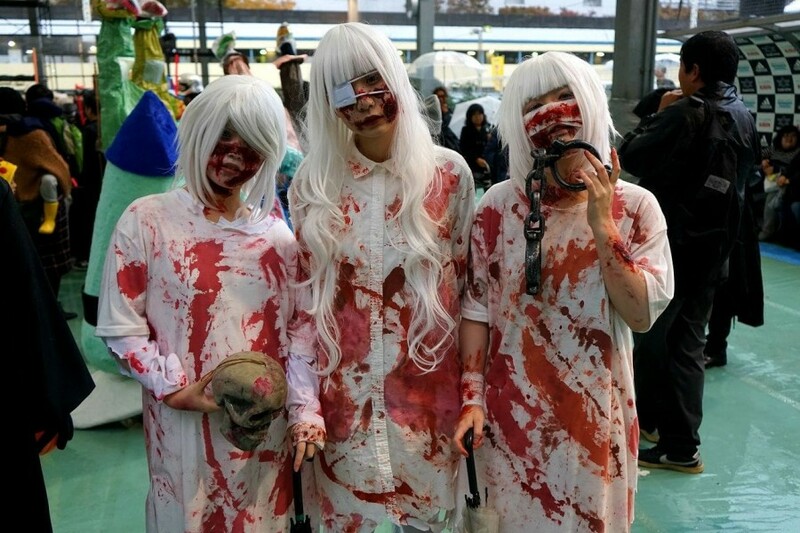 With accessories, costume, and make-up, you're all set for "Trick or Treat" and for the Halloween Parade that will begin in the afternoon on the streets of Kawasaki. * Please be aware that these products are available only during the Halloween season. Before heading to the parade, don't forget to have lunch. 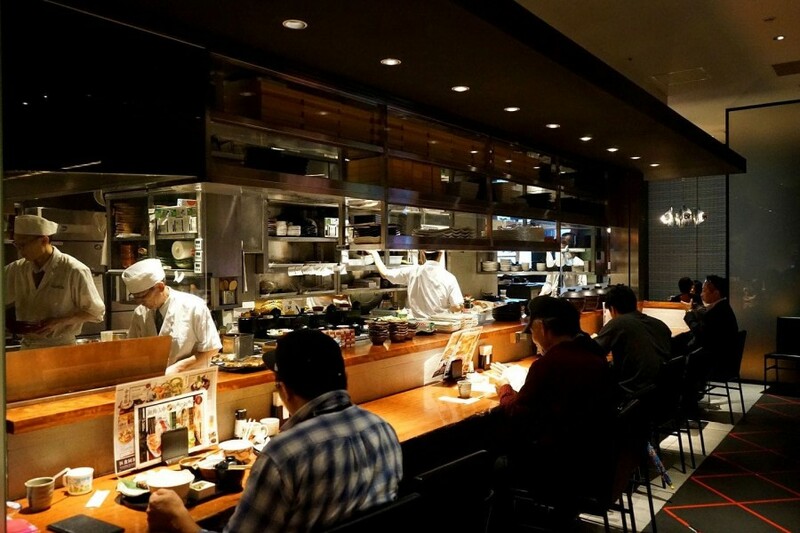 We recommend OTO OTO, a select dining place found on the 4th floor of LAZONA. They offer a wide range of dishes, from steaks and noodle dishes to rice topped with fried meat and vegetables - all prepared with the utmost care in selecting the best quality ingredients. 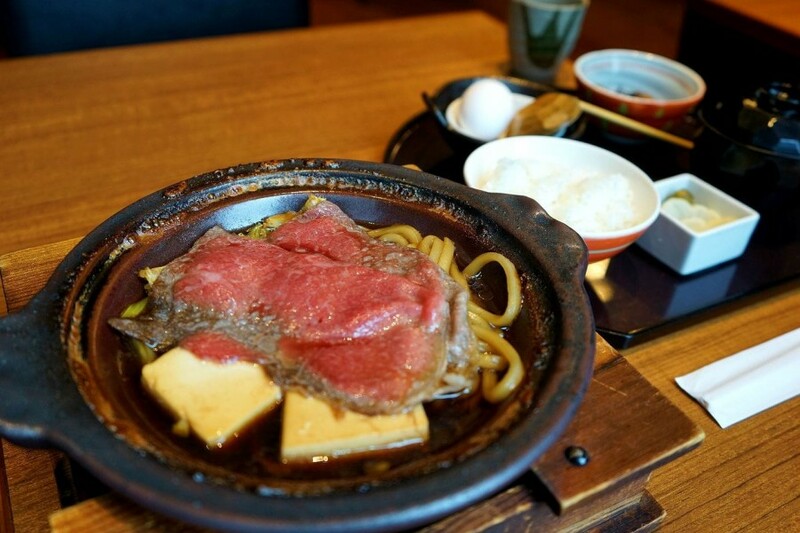 A recommended dish at OTO OTO is the Matsuzaka-ushi Sukini Gozen (1980 yen, tax included), a set meal consisting in tender Wagyu beef cooked with tofu and udon noodles, a bowl of rice, an egg, miso soup, and pickles. The Matsuzaka-ushi beef is high quality, very soft, and extremely delicious. You'll most surely be satisfied with this very special culinary experience at OTO OTO. 14:00 - 18:00 -- Taking Part in the Amazing Halloween Parade! After lunch, it's time for the event you've been waiting for - the Kawasaki Halloween Parade! From LAZONA, head towards LA CITTADELLA, an area located near the eastern exit of Kawasaki Station. LA CITTADELLA is an area with shops and stylish dining places with an atmosphere reminding of a medieval Italian town. At Halloween, it becomes the base of operations for the management of the Parade. For information on the event, check out the information booths located in this area. The Kawasaki Halloween Parade starts at around 14:30 and lasts until 17:00. Every year, new elements are added to the event. This year (2017), the theme was "LOVE & JOY" and it included for the first time a Pride Parade showing support for the LGBT community. On the previous day, October 28th, there were two events for children, a Kids Parade featuring about 500 costumed children and MINIONS RUN KAWASAKI Halloween 2017, a stamp rally where all the participants were dressed as the popular Minions. The major highlight of Kawasaki Halloween is watching the amazing parade of floats and costumed participants, stretching over 1.5 km on the streets of Kawasaki. In case of inclement weather, the parade is canceled. Instead, a party where everyone wearing a costume is invited is being held in LA CITTADELLA in two locations - the tennis court and Club Citta. Either way, it's a great occasion to see people wearing unique costumes and having fun. Here are a few groups that caught our attention at the 2017 edition. The Pirates of the Caribbean! When we saw this group and their amazing costumes, we couldn't help wondering how long it took to dress up and put on the make-up. It turns out that they have been taking part in the event for several years now, so they can get ready quite fast. In fact, we could guess we're dealing with veterans by their cool, very photogenic poses. It was a great joy to meet and chat with people who have such a strong connection to the Kawasaki Halloween. This group of three impressed us through their original costumes that are closer to the scary side of the Halloween celebration. It can take up to three hours to put on the outfits and make-up. However, they seemed to be enjoying the creative process involved in making their own outstanding costumes. Fascinated by all the details of their outfits rather than scared, we enjoyed hearing them talk with so much enthusiasm about Halloween, an event which they're looking forward to every year. 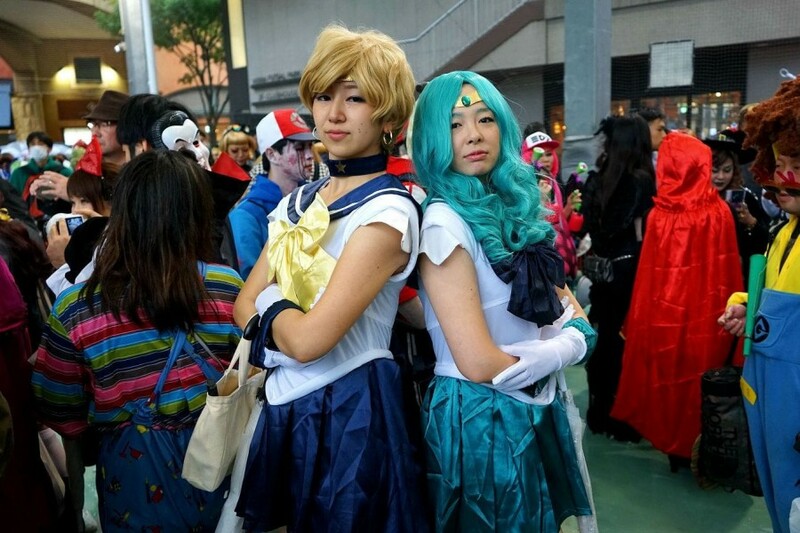 We couldn't help approaching this pair as they both look so good in their Sailor Neptune and Sailor Saturn outfits! They make the dream of any Sailor Moon fan come true! Asked about the event and how they feel about it, they said that they like wearing a new costume every year. 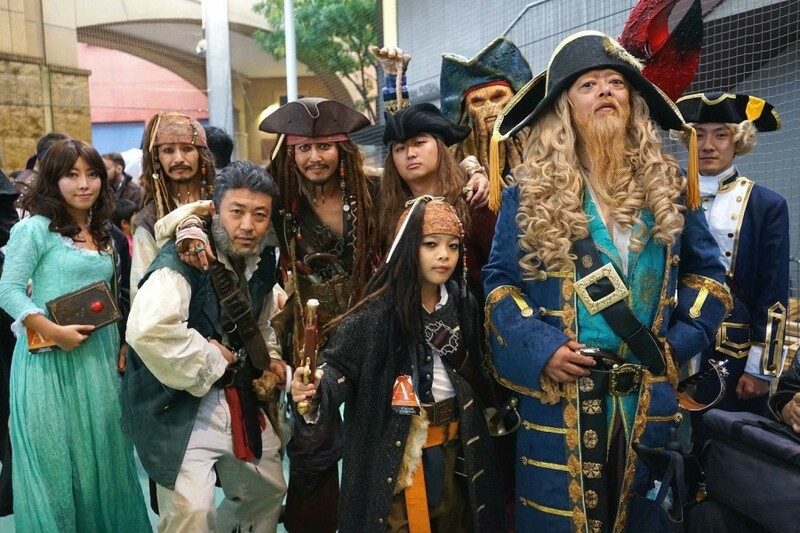 We can only imagine how nice it is to have a collection of photos of the costumes worn at each edition of the Kawasaki Halloween. There's no better way to make unique memories of this event. A Great Occasion to Experience the Culture of Kawasaki! On the day of the Kawasaki Halloween, the party goes on well after the parade is over. If you'd like to hang around in the evening, feel free to do so. Otherwise, you can stroll around the streets of Kawasaki. In addition to the large shopping malls, there is also the Kawasaki Ginza Shotengai on the way from LA CITTADELLA to the station. The warm atmosphere of this cozy traditional shopping street will add up to your experience of Kawasaki, a city bustling will livelihood and creativity. * If you wear a costume and wish to participate in the parade, you need to register beforehand. A participation fee of 1000 yen is required.